So glad to hear this one. I nearly forgot about it! But really who can forget any Fox performance? I could forgive all the trashy, glitzy and tasteless arrangements Fox was responsible for on the strength of this one arrangement alone. I can't describe the deep emotions it awakens in me but it does, every time. 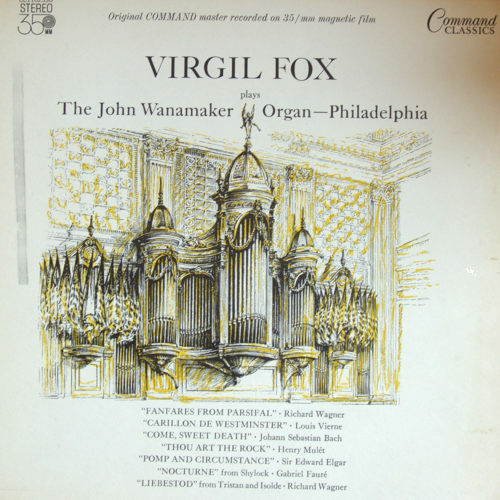 Virgil Fox organ music for people who hate Virgil Fox organ music. I was only able to attend one of Mr. Fox's concerts at an outdoor (pavilion) at Waterloo Village New Jersey.I wish I could have heard this track in a more fitting location before he died. In contrast to Fox the popularizer, this was the real Fox. I heard him play this at various times and places. He obviously felt this music very deeply. Vigil Fox trashy, glitzy and tasteless arrangements? 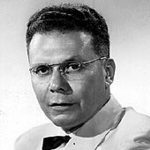 He was the great organist in the world in the 20 century voted by everyone who loved organ music. Brian, are you as successful and well known as Virgil Fox? Fox's arrangement is so deep, that I feel something indescrptible when I listen to this piece of music. Undoubtly, one of the greatest organists of all times! It's an absolute masterpiece the way Virgil registrates and plays the piece. No one could do it better! I wholeheartedly agree with all of the above! SDG!